The stained glass quilt pattern is always a favourite. I’ve used batiks because I always feel that black really makes the colours of batiks zing. When making a stained glass quilt with curved edges you are probably used to using the ready made bias tape and ironing it on, but for this stained glass quilt I have used straight edges only and have added the black in as a 1/4″ sashing between the sections. The method that I have used makes this a really simple quilt to make – not a triangle in sight! The quilt measures 40″ square and I have used 1/4 yard each of four different fabrics with 3/4 yard of the fifth fabric and 3/4 yard of black. I have run out of black so the special offer this week is for the batiks only – 1.3/4 yards of batiks at a discount of 10%. The black sashing is made using 1″ strips of black fabric sewn within each block rather than added on to the edge. This makes it a very simple method because you are not changing the size of each section when you add the sashing. Fold the strips in half along the length and press to create a fold mark along the strips. For each stained glass quilt block you will need one 3.1/2″ length, two 6.1/2″ lengths and one 9.1/2″ length. You need sixteen blocks to complete the stained glass quilt. Before you begin sewing the blocks, a quick word about needles. Batik fabrics are generally made from fabric that has a higher thread count and is more densely woven than normal quilting fabrics. You may find your needle thumping a bit as it sews batiks. The answer is to use a slightly thinner needle than usual – and make sure it’s a sharp needle. If you normally use a 75/11 or 80/12, you may want to try a 70/10. This should have less difficulty slipping between the threads of the fabric. Lay the batiks out with three rectangles on the left hand side and a square and rectangle on the right hand side. Place the black strips between all the pieces. Lay a black strip along the edge of a rectangle or square and unfold it. Sew the strip to the rectangle along the fold line. That makes the seam line 1/2″ from the edge of the fabric. Press the black back over the stitching. This is one of those times when it’s worth just leaving your iron on – you need to press each time you sew a seam. At this stage you have three layers of fabric at the edge of those pieces with sashing. You could trim the two lower layers by 1/4″ before you fold the black fabric back over the seam. This would reduce the bulk in your seams. I have to confess that I didn’t do this, but I feel that I must tell you the more correct way of doing it! Sew the next rectangle to the black edge using a 1/4″ seam. This will give you a 1/4″ black sashing between the two pieces – but you haven’t had to cope with sewing very thin sashing strips between the rectangles. Continue sewing the pieces of the block together. Sew the three rectangles together using sashing strips on the left hand side and sew the square and rectangle together on the right. Then sew the two sections together using the 9.1/2″ length of sashing. Make sixteen stained glass quilt blocks. The blocks are sewn together in four rows of four. The sashing between the blocks is made in exactly the same way – sew a 9.1/2″ length of sashing to the right hand side of the first block and then sew the second block to it. I have rotated the blocks just to make the quilt more interesting. If you look at the squares of the blocks, in the first block the square is on the top right while in the second block the square is on the bottom left of the block. I’m not sure whether this was necessary – I suspect that just placing the blocks randomly wouldn’t have looked much different. You will need three sashing strips between the four blocks in each row. Don’t sew sashing to the ends of the rows at this stage. Make five 36.1/2″ lengths of sashing to sew the rows of the stained glass quilt to each other. Sew a sashing strip to the top and the bottom of the quilt as well as between each row. For the sides of the quilt you will need two 36.1/2″ lengths of sashing. It’s easier to sew them on as one long strip rather than adding sashing to the sides of each row. I hadn’t intended to use an additional border, but I decided that the sashing strips wouldn’t be too easy to sew the binding to, so I added 2.1/2″ strips of one of the batik fabrics for a border. You will need two lengths of 36.1/2″ for the top and bottom and two lengths of 40.1/2″ for the sides. Now you can use black for the binding to complete the stained glass effect. That completes the stained glass quilt top. It is now ready for layering, quilting and binding. Full details of these steps can be found in the quilting for beginners section. Last week I made a puff quilt cushion which is probably more of a seat pad – something that you can carry around with you and be comfortable wherever you are. You can click on puff quilt to see it. I have to say having invested in EQ7 I resisted buying any of the ‘support’ goodies that were soon being emailed as offers!! However having followed through several of the free on-line training (like Jump Start in Do You EQ) I then invested in a book of Pieced Drawing Exercises (there is a good EQ book supplier here in UK which saves on expensive US mail charges). This is my current training program and is really good. A side effect of all this block & quilt top design is that my confidence with colour is improving – it is so easy to change fabric and the whole ‘look’ of your work. Thanks, Toni. 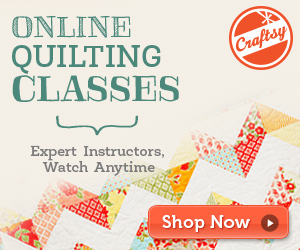 That’s really helpful – I’m sure a lot of quilters will be interested to hear that. I’m aware that I am not using EQ7 to anywhere near it’s full capacity, but there just don’t seem to be enough hours in the day. Thanks Noreen – you reminded me I wanted to ‘play’ with this design of Rose’s. I have put it on EQ7 and placed the blocks on-point within a black background. Really effective. Hi Toni. Sounds like a great idea. It’s easy to get carried away with EQ7, isn’t it! I’m pleased, Toni, that my comment started your designer juices flowing, however as a novice what is an EQ7 please? I’m beginning to learn the language of quilting but this defeats me. Sorry Noreen – we should have been more clear. EQ7 is a computer programme that allows you to design quilts. I bought mine and could not use it for some time, but then I came back to it a few months ago and I am slowly finding my way round the system. As with most things on the computer, a teenager could probably learn all the EQ7 functions in a much shorter time than it is taking me. Thank you Rose. I should have guessed it was a computer programme. I must google it. Hi Noreen. I will do an article on EQ7 if I can figure out how to work ‘print screen’ and things like that – I’m sure there are others who would be interested. Good morning Rose. I would be very interested in an article on EQ7. Your explanations are always so easy to understand. I return to them time and again when I come across a problem as I learn to make a quilt. Gee thanks, Noreen – you say all the right things! Gosh, Toni – you are so much more organised than I am. I have begun using it because it gives me better quality images of my quilts, but it sounds like you are way ahead of me in experience. I have received the beautiful batiks you sent and have made a start on the stained glass window quilt. I am loving doing it. As a fairly new quilter I must say you have taught me all I know with your very clear instructions on anything that I need to know. However I have come across a problem, probably of my own making, but can’t fathom out the answer. I have four lots of 4 blocks ready to stitch them together with the black sashing in between. (I must say you have given a brilliant way to stitch the sashing) My 4 blocks should be 48′ wide but they are only approx. 36 “wide. This will only make a quilt 41″ wide and it should be 52” wide. What have I done wrong? I hope the wedding went well and you have had a bit of a holiday. Hi Noreen. I feel so ashamed – I have written the wrong size in the pattern. In fact the quilt will finish 40″ not 52″. I am so sorry – I don’t know what I was thinking of. I will correct the pattern as soon as I can. Please think nothing of it. These things happen. You will need to update the measurements for the sashing between the rows too (and the sides) as well as the outer border. I know what I am going to do. I am just going to add more blocks to the width and the length. I’ll be needing more batik! Thanks, Noreen. You are very understanding. I’m home on Wednesday and I would have forgotten to change the sashing lengths. You’re welcome to some more batik – the ones I have in stock now are not the same but I think that they are just as pretty. That is really beautiful and looks so easy to do. I am wondering if I can use my scraps of jelly rolls for this project. Hi Elizabeth. You could certainly use jelly roll scraps. You’d have to use 2.1/2″ squares and 4.1/2″ by 2.1/2″ rectangles. What a beautiful quilt, it is stunning. I have just moved down to Wales and my sewing machine is not unpacked. Once I am fully settled I think this can be my next project. Thanks, Margaret. I hope you will settle well and be happy in Wales – a beautiful country. Thank you so very much for this lovely pattern and your well written instructions. I just ordered four yds of batik material in light to dark shades which will look super in the quilt. Now I need the black from one of the local shops to help complete the quilt. This may go together easily, but it certainly looks fantastic. Thank you for sharing! Thanks, Shelley. I’m glad you like the pattern. Oh Rose that is just so lovely. Those batiks are gorgeous. Thank you and as you say no triangles bonus. Thanks, Irena. Batiks always have such a depth of colour, don’t they. Rose, you have solved my problem! What to do with all that beautiful batik yardage! Thank you, I love this pattern, so pretty. Thanks, Jo Ann. Glad you like the quilt pattern. Love the batiks and they show up so beautiful with the sashing. Will have to look if I have any batiks. Right now I’m making a Christmas quilt of my own version. I do have to make a baby quilt for October for my cousin. My new granddaughter, Molly, came yesterday at 2:22PM, . Did not get her quilt to her yet but it is done. Love the puff quilt also. Think I will make it for our bench. Will need to add a few more puffs. Great job> You always make things look so easy that I feel confident to try them myself. Hi Sandra. Thanks for your comments. Congratulations on your new grand daughter. I think that Molly is such a pretty name. What a beautiful quilt! You’ve done it again. I didn’t know what batik was until now. Then, what do I know about fabric? I loved the quilt and the colors and what you did to make it look like stained glass. Now, I can’t wait to see what you’ll be showing us next week. Enjoy your trip to Birmingham. Hi Claire. Batiks are lovely fabrics – they are all different from each other. When they are made, apparently the fabric is spread out across the fields while the different colours are applied to the fabric. Lovely image, isn’t it. Thanks, Ella. Glad the fabrics arrived safely – thanks for the order. Beautiful , great job as always . Thank you so much . Thanks, Linda. Glad you like the pattern. Rose, hope you know that you are truly a BLESSING to both Beginner and Experience Quilters. God Bless you and good works that you do for so many. However, I find it somewhat confusing with attaching the sashing. I get how you attach the RECTANGLES and SQUARES to the fold. How do you attach the pieces to the opposite side of the sashing? Your instructions or video doesn’t show us that. Please verify. Hi LaVerne. Apologies if it wasn’t clear. Fold the black back down so that it is doubled over. The edge of that piece is now three layers of fabric – two black layers and one batik layer. Lay the next piece right sides together on top and line up the raw edges, so you will now have four layers (if you haven’t trimmed anything). Using a 1/4″ seam, sew those layers together. That will join the next piece to the first piece. Love it Rose. Just my colours. Thank you once again for the lovely tutorials. I think I will spend my birthday money on some batik material as I really like this quilt. Enjoy your workshop. Thanks, Dianne. These batiks have been really popular. Hi Mary. It’s nice to be able to showcase batiks, isn’t it. I’m sure you can, Kaye. Good luck. Wow! This is now my favorite, contemporary quilt pattern! Guess who is going to create this! Thank you, Rose! Thanks, Cynthia. Glad you like it. The way you have attached the black sashing is very interesting, Rose. I made a stained glass window wall hanging last year but used 1/4 ” seams on the 1″ black sashing. Now I see the black lines stand out too much. Oh well put it down to experience! Thank you for your version and for the video. Hi Barbara. That’s a perfectly acceptable way of adding the sashing. You will have ended up with 1/2″ sashing, so yes it will show up a bit more than this 1/4″ sashing. Hi Rose – when we place the black folded fabric which brings it to 1/2 inch, we have to sew along the folded edge(which we have now opened out) but do we sew 1/4 inch on the fabric we attach it to? Hi Irene. Good point – sorry if I wasn’t clear. No, you line up the raw edges of the black and the batik, so that you are sewing 1/2″ from the edge of both fabrics. Hope that’s more clear. Fantastic stuff Rose! The way you have attached the black sashing is amazing. It’s great that the new things you show us can be used in so many ways in future quilts. Thanks for sharing your knowledge with us. Have a wonderful time. You’re right Anita – you could use the same technique in lots of different ways. Glad you like it. Wow what a wonderful quilt. I agree with some of the comments, the fabrics are fantastic, the design looks complicated, but you make it look so easy. This is deffo one to make soon! Just have source the fabrics here in Spain or wait until I make a trip to see my Mum. Thanks again for the clear instructions and the follow up video, great for people like me who has to keep looking at the instructions again and again! Thanks, Carol. Glad you like the quilt. I do post fabrics to Spain, if you’re interested. I just have to charge £2 for delivery in Europe, rather than the free postage that I offer for the UK. very pretty Rose..good job, as always! Thanks, Deborah. Glad you like the pattern. Rose I look forward to all your patterns! You make them so easy! I really like this pattern, it’s so beautiful! But I really like your puff pillow to be able to be comfortable. I can’t wait to make it too! You are so wonderful at what you do, and you make them easy to do. Thank you Rose! Thanks, Nola. You are very kind. I just love what I do, including sharing. I agree with all the other comments here. I also gave made stained glass pictures, but they can be fiddley. This is gorgeous, once again made in my favourite colours, brights. One to be started in the not too distant future I feel. Thanks, Jennie. Last time I tried faux trapunto I made several snips in the quilt fabric when I trimmed the wadding, so I’m hoping I’ll find out how to avoid that tomorrow. This is simply exquisite, absolutely gorgeous.The colours are simply stunning. I think the whirligig quilt will be going on the back burner for a while. Enjoy Birmingham, I was born there but sadly no longer have family there to visit. Thanks, Trish. I think it’s the black that makes the batiks pop the way they do. I love visiting Birmingham – it’s so different now from what it was 20 years ago. Thank you for this stained glass quilt. I too feel it is one I can tackle successfully and I love stained glass. Thanks, Susan. The batiks look good against black, don’t they. I love this quilt, I can’t wait to make my own. Thanks, Linda. I’m glad you like the quilt. Thank you, Rose! This is absolutely stunning! Thanks, Holly. I’m quite pleased with it – but it’s the batiks that make it, I think. Oh Rose. You are so wonderful. I quilt stain glass pictures and have been for about 16 years. Never thought of doing it as a quilt. Thank you for such a wonderful way to get me geared up to do one. Layout is simple, your choice of colors are awesome. Can’t wait to start this beauty. Thanks, Gail. That’s really kind of you. Now you have one on me because I seem to be really messy when I make stained glass pictures – I’m not organised enough to plan the tape so that I don’t have ends everywhere. Rose, this is just lovely! With a quick rack full of UFOs calling to me, they are drowned out by the siren song of this gorgeous quilt. Now I see the home that my batik collection has been looking for! Thank you. Well, that was a QUILT rack…! Hi Mary. A rack still full of UFO’s, I presume! Thanks, Mary. I know what you mean – sometimes it’s difficult to choose a design for batiks because you don’t want to risk hiding them. Oh my! So me! That is wonderful Rose, thank you for your hard work which will make it so straightforward for us mere mortals to emulate you with this spectacular quilt. I think there are going to be more than a few variations of this beauty around the country (and abroad as I am sure you must have, at least, an expat following in other climes). Have a wonderful weekend, hopefully summer will return! Thanks, Toni. Aren’t we lucky to have such lovely batik fabrics available to use. Yes, I do have subscribers all round the world – in thirty different countries last time I looked. Dear Rose – thank you, thank you, thank you. At last a quilt I feel I can tackle now. The patterns with triangles always worry me but straight edges I feel at home with. Just love the colours you have used. The batik colours are so suited to this stained glass effect with the black mimicking the lead caming. I really do admire your abilities but recognize quite a few of them are beyond at the moment – probably for ever. I will try one day. I do enjoy reading of your adventures with Minnie. Thank you again. Best wishes. Oh Janny, I didn’t realise that you felt my quilts were beyond you. Why not try making a few individual quilt blocks using scraps of fabric. That way you may find that triangles aren’t as difficult as you think. Anyway, I’m glad you like the pattern – I always feel that batiks and black look great together.